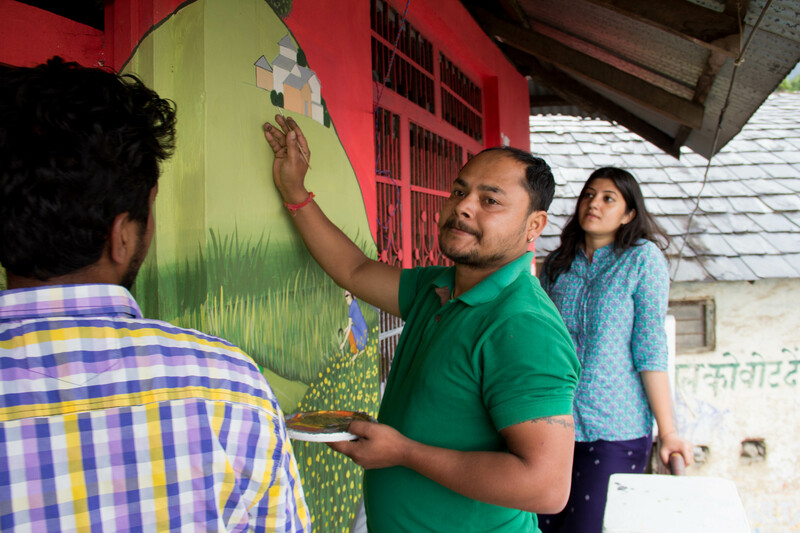 KAPS in collaboration with ShopArt ArtShop 2 (SA AS2) is restoring the local market square in Gunehar, Kangra District, HP starting May14-June14, 2016 . The artists are working under the supervision of Ms Gargi Chandola, visual artist from Delhi. 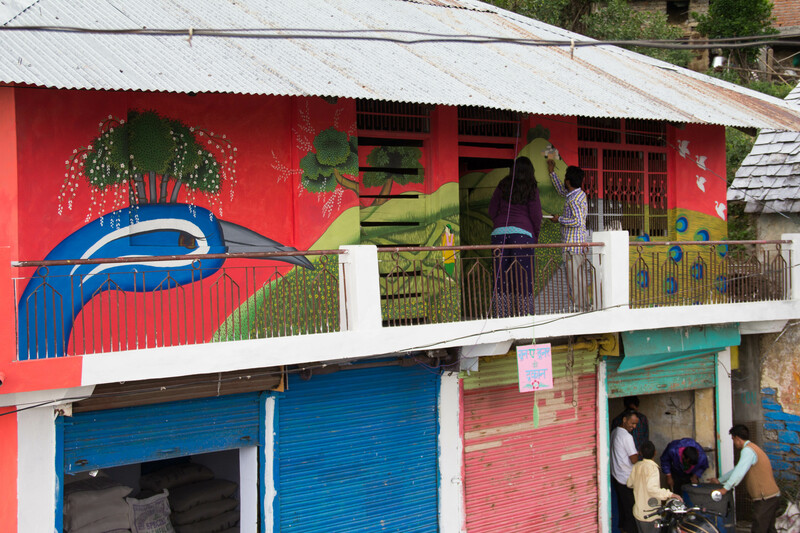 The restoration work is done in traditional style by KAPS artists, where the plastered and renovated mud-and-slate houses in market square acts as canvas.